Now that “Ip Man 3,” the only force strong enough in the universe to withstand “Star Wars: The Force Awakens” at the box office, is officially opening in China on March 4th, the local distributor is rolling out new character posters with the new date (check them out below). When the Donnie Yen film was inexplicably pulled from its original December 24th slot in China (but opened in neighboring markets on the same date), its screenwriter Edmond Wong expressed on Facebook how disappointed everyone involved in the film was. Despite breaking records in Hong Kong and Malaysia and packing theaters in Singapore (dethroning “Star Wars: The Force Awakens” from the top spot in those territories in the process), it still needs to do really well in China to cover its expensive $36M budget (for a Chinese production). The studio behind “Ip Man 3” hopes that between now and March 4th, no one pirates the film; and that its box office momentum from the neighboring territories carries through. 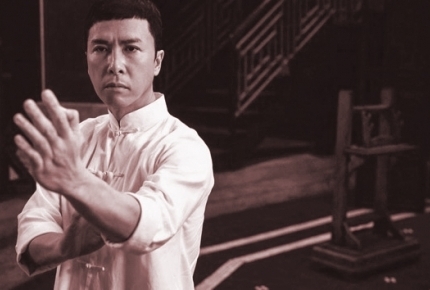 “Ip Man 3” will be released on January 22nd in the U.S. in select theaters. For the first time, I could actually see a Chinese film in the U.S. before someone in China. Thanks, Chinese distributors.